As soon as the temperature was warm enough to open the windows, I've been on a Mexican kick. 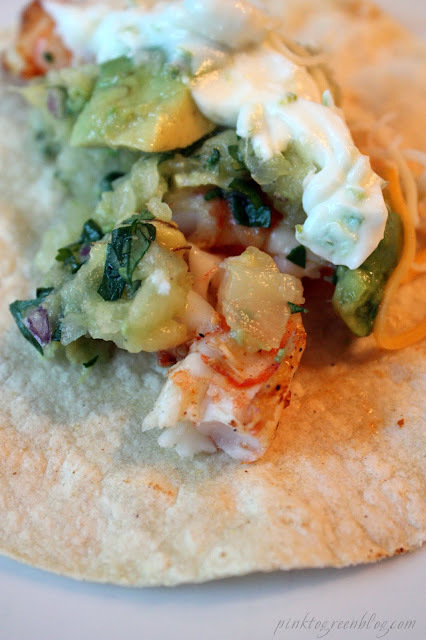 So much so, that we've dedicated one night a week to shrimp or fish tacos. Of all my experiments, this recipe is by far my favorite to date. Fresh, colorful and festive, these tacos are a must-make. 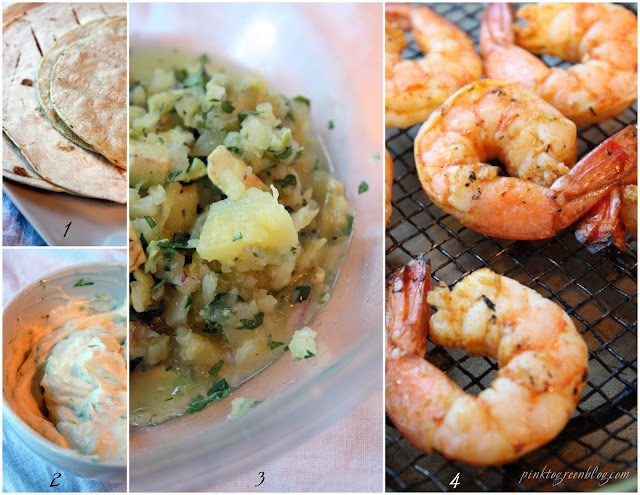 We took advantage of the gorgeous Charlotte weather this weekend and grilled our tortillas and shrimp, but this could easily be adapted indoors.